Happy fall! I am SO excited for the fall. I love everything fall and am loving the cooler weather and pretty leaves. We have been very busy in kindergarten! 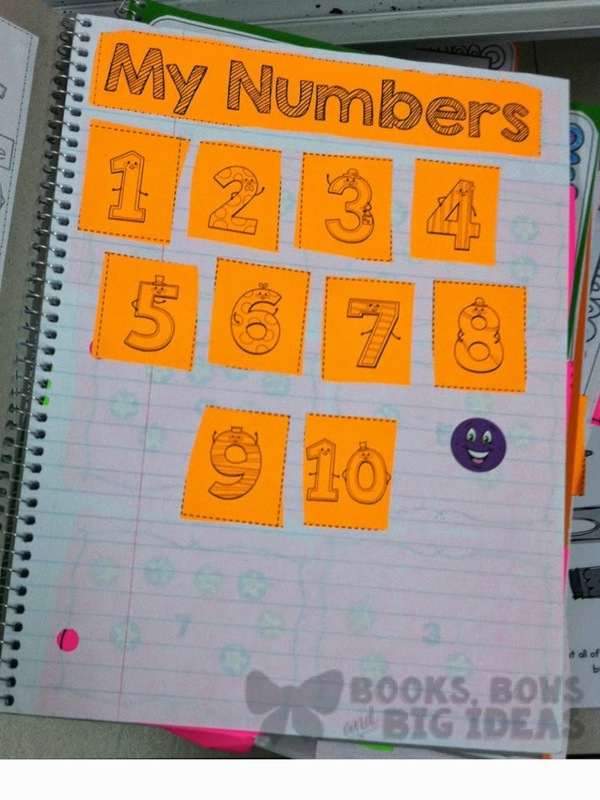 One of the things that I have been LOVING is my interactive math notebook. This is our first year using the notebook and I can already see its benefits. When I first heard about the interactive notebook craze I have to admit that I was a little bit skeptical. 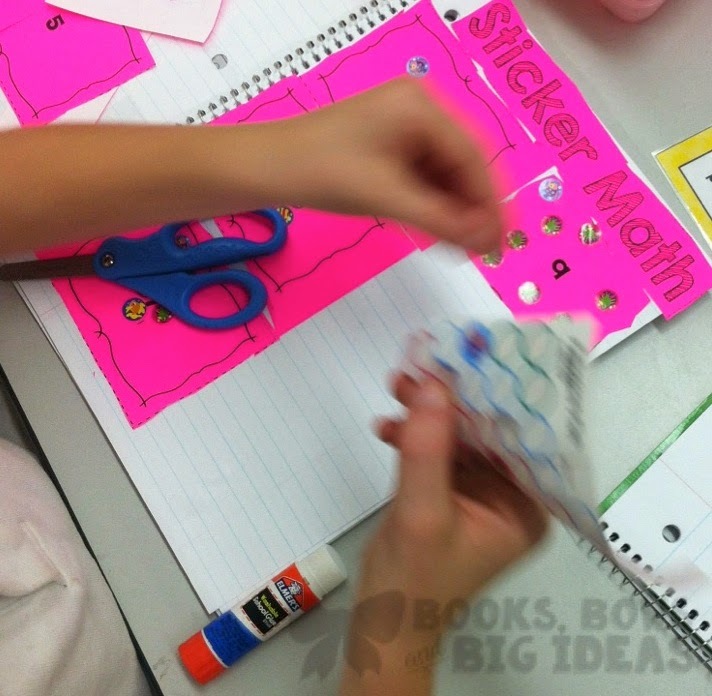 I wasn't so sure about the combination of lots of cutting, gluing and then closing a notebook with kindergarteners. Now I can confidently say that I had nothing to worry about! I decided to make a notebook for kindergarten when I didn't see many available for the younger grades and wanted to try it. We planned on starting this year, I was excited but terrified a little nervous. You forget what the beginning of kindergarten is like when the kids are doing so well in June! The beginning is rough but quickly getting better and better every day. I bought each child a spiral notebook when they were on sale for 17 cents each at Staples over the summer. I would recommend buying them over the summer when they are cheap. First we had the kids color the covers, we did these during the first week of school. (I had already cut them out and written their names on them.). Then I painted the covers of the notebooks with Elmer's Glue. I put the covers on and let them dry. Some of the kids got really creative! (The name is on the line, it has been blurred for safety, but you get the picture!). 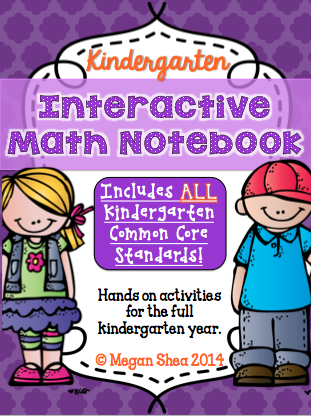 The great thing about the math notebooks are that they cover all of the common core standards for kindergarten. There is at least one (usually more) page for each standard. We don't use them to teach the concept, but we use them as a supplement to our math program. 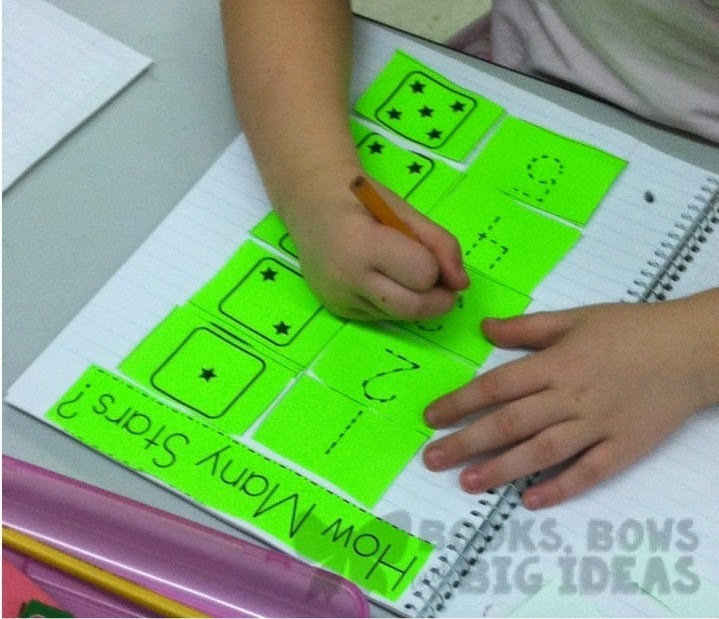 It is a great thing for the kids to look back at and review what they already learned. Right now, we are doing the simple math pages, as the year progresses we will be using the notebooks a lot more and doing more advanced concepts. When we do a page, I print it on colored paper and then explain it and complete the page in front of the class. The colored paper is SO exciting for the kids, they are always so excited to see which colored page we will do next. Before even handing out the notebooks, I show how the class how to do the page. I cut out all of the pieces in front of them and then glue them into my sample notebook. I leave the sample notebook up so that they can reference it if they need help. As they get more advanced I may take that away so that they can do it themselves, but for now, they need it. Then, we hand out the notebooks and they get to work. It is quiet when they are working, I was shocked the first time we did a page. This class loves to talk and we couldn't believe how quiet they were! They were really into it! They all did what they needed to do, they understood what to do and they did it correctly the first time. Here are some samples of what we have done so far. Sticker Math: Definitely a favorite! One of the great things about interactive notebooks is that they can easily be differentiated for different children. The student below was finished early so we added another step, while some children will just be able to complete the cutting and pasting. "How Many Stars? ": Some of the kids started to finish up early, so they drew each number of pictures next to the number. The first page that we did, they did so well! "How Many Stars? ": Tracing the numbers. 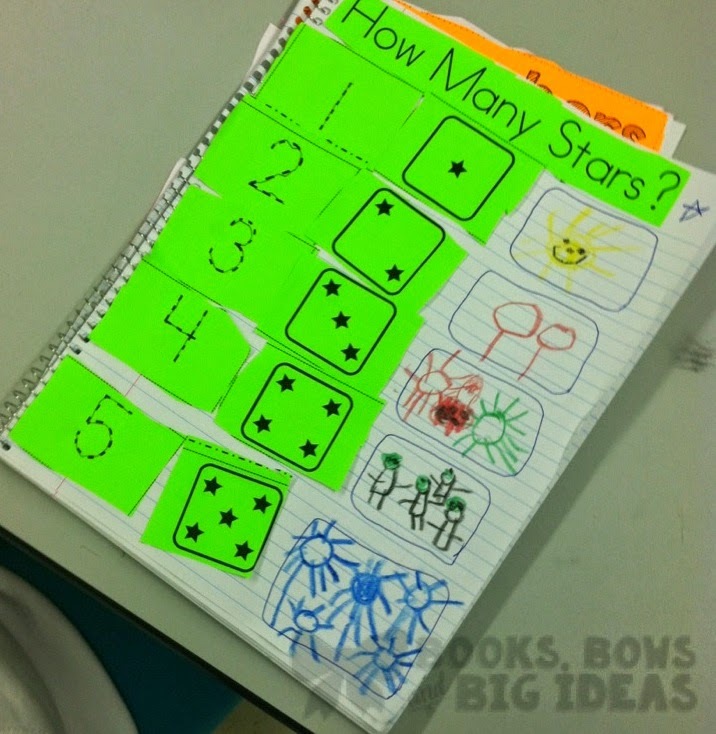 "How Many Stars? ": Finished product, great work! 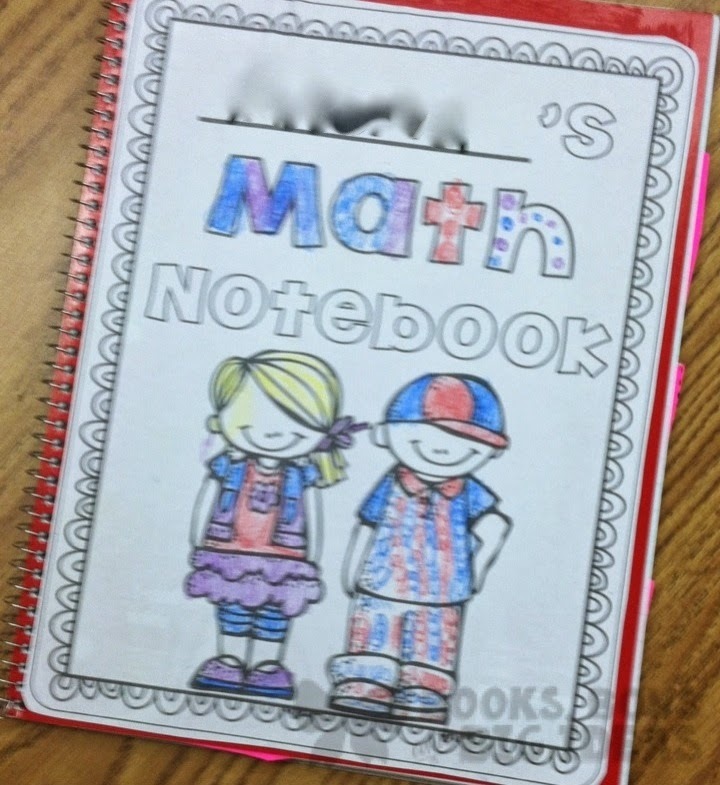 I am SO glad that we started interactive math notebooks this year. I really feel like the interactive aspect of the notebook gives it a more hands on feel. 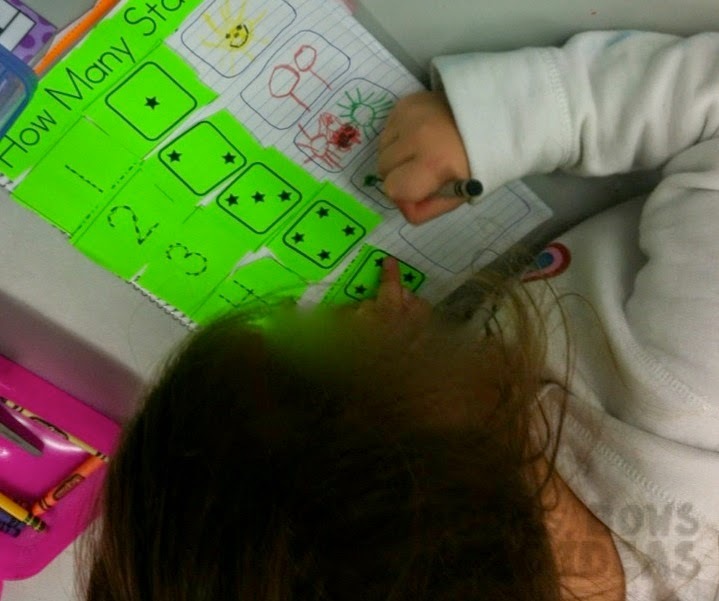 The children really get into the concept and understand it rather than just filling things in on a sheet. If you are interested the notebook is for sale in my TpT shop, just click the product cover below. I have heard from other teachers as well that they are loving it in their classes. 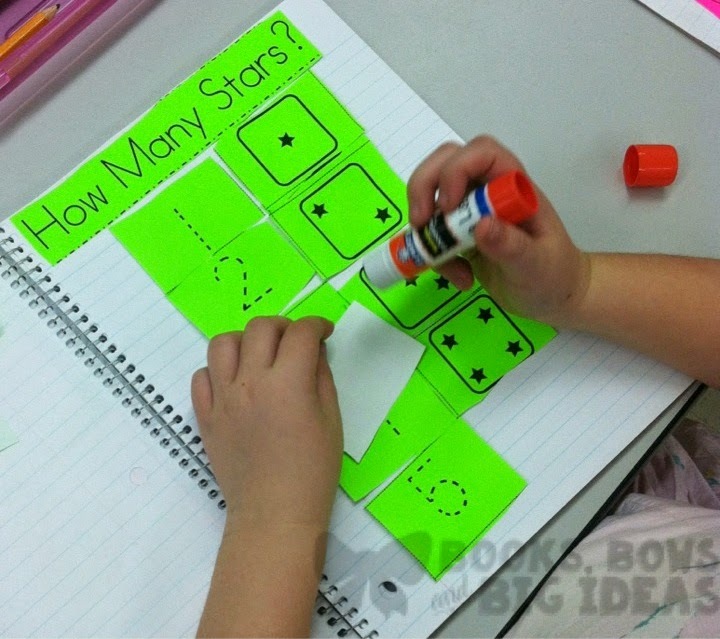 Do you use interactive math notebooks in your class? I love your interactive notebook! The kids love it and don't even realize that they are working b/c they like doing it so much. I keep hearing comments like, when are we doing interactive notebook? Even the parents are asking me about it b/c their kids are talking about it. Thanks for your amazing creativity!! I'm nominating you for the Liebster Award. 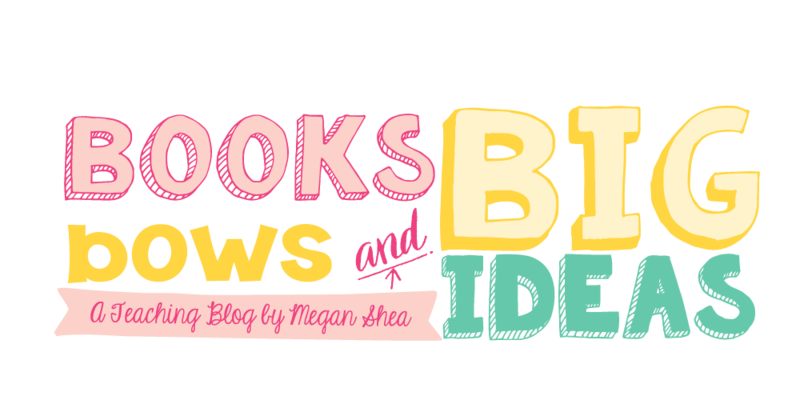 I am so happy I stumbled upon your blog! Check out the nomination by clicking here!